Product Category: Automotive Electrical ::: Automotive Electrical Misc. ::: Automotive Electrical Misc. 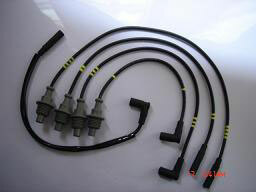 Our company is a manufacture base and specializes in ignition cable set, spark plug, such as Ford, Peugeot, Land Rover, Nissan, Toyota, Peykan, Daewoo, Opel, Omega.